In our morning rounds, a new approach to fight multiple sclerosis -- a disease where the body attacks its own central nervous system. 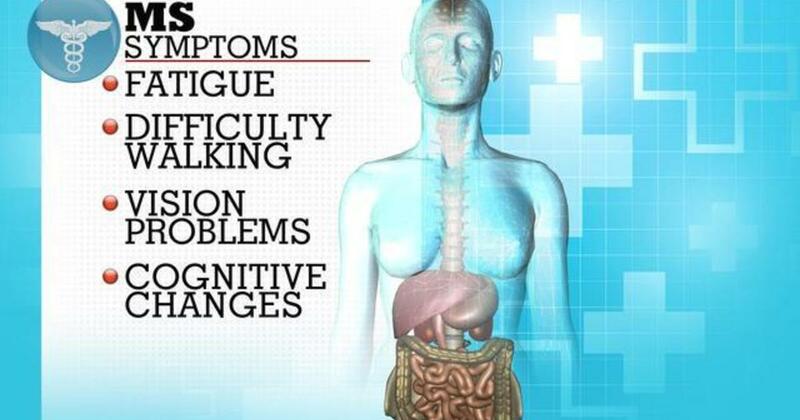 MS affects about 400,000 people in the United States. It is two to three times more common among women. Current treatments may have severe side effects, and there is no cure. Take out the whole grains, add even more vegetables plus a lot of omega-3 fatty acids and you have the Zone Diet, a truly anti-inflammatory diet to manage multiple sclerosis. Hi there! I’m very thankful for the shared report! It’s quite informative and very useful! Not all people consider this as the main problem! After an MRI i was diagnosed of MULTIPLE SCLEROSIS. After years on medications, symptoms worsened with tremors on my right hand, numbness and tingling, muscle weakness and loss of speech. Fortunately last year, i learnt about RICH HERBS FOUNDATION and their successful Multiple Sclerosis alternative treatment (ww w. richherbsfoundation. com), the Multiple Sclerosis treatment made a great difference, most of my symptoms including tremors, weakness and others gradually disappeared. I improved greatly over the 6 months treatment, its been a year since the treatment, i have no symptoms. I have a very good quality of life and a great family! I was diagnosed with multiple sclerosis in 2005, and I was 40. They put me on Rebif which I took until 2008 and was switched to Copaxone. I had two relapses on Rebif, none on Copaxone. I noticed my balance getting worse, and my memory, as well as muscle spasms. I’m 54 now, In Febuary this year my neurologist referred me to Organic Herbal Clinic, i immediately started on their natural organic MS Herbal treatment. I had a total decline in all symptoms including the balance, fatigue, muscle spasms, Pain, excessive urination and others. Visit Organic Herbal Clinic web page ww w. organicherbalclinic. c om. The MS treatment totally reversed my Multiple Sclerosis condition and most amazingly i can go about my daily activities!